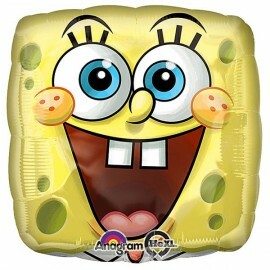 45cm SpongeBob Square Face Foil Balloon (Self sealing balloon, Requires Helium inflation) Each..
Airwalker SpongeBob SquarePants 74cm x 117cm Foil Balloon (Self sealing balloon, Requires helium inflation) Each..
Mini Shape Spongebob Square Pants (Flat) Foil Balloon (Requires air inflation, heat sealing and balloon cup & stick) Each..
Mini Shape Spongebob Square Pants (Infla ted) Foil Balloon (Supplied airfilled on balloon cup & stick) Each.. 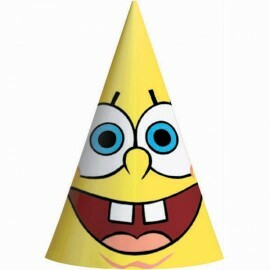 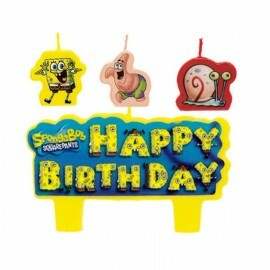 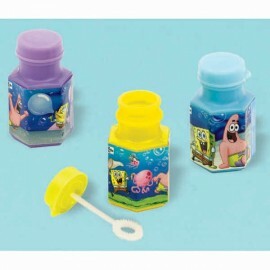 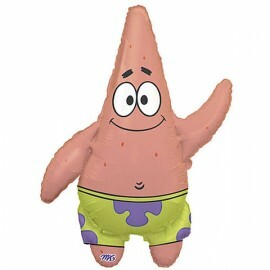 Shape Patrick SpongeBob Foil Balloon (Self sealing balloon, Requires helium inflation) Each.. 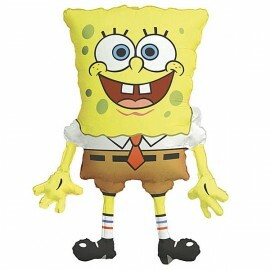 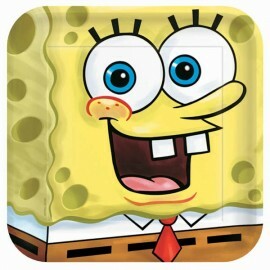 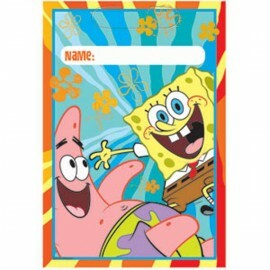 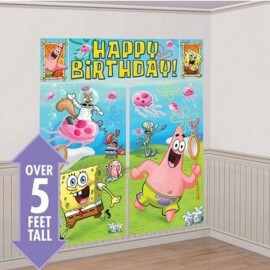 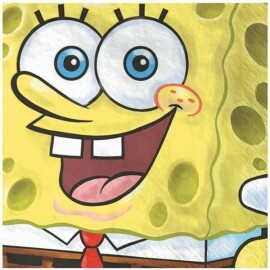 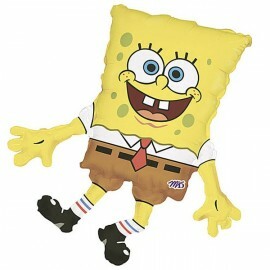 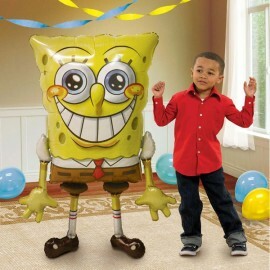 Shape SpongeBob SquarePants 56cm x 71cm Foil Balloon (Self sealing balloon, Requires helium inflation) Each..
Spongebob Blowouts (Age 3 ) Cardboard & Paper Pack of 8..
Spongebob Scene Setter Wall Decorating Kit - For Indoor/Outdoor Use Contains: 2 Pcs (83x149cm) 1 Pc (113x41cm) 2 Pcs (26x41cm) Plastic Pack of 5..
SpongeBob Square Pants Candles, Mini Moulded Set. 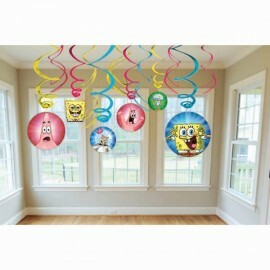 Pack of 4..
SpongeBob Squarepants Buddies Loot Bags Pack of 8..
SpongeBob Squarepants Dinner Plates Square Paper 23cm Pack of 8..
SpongeBob Squarepants Hanging Swirl Decorations, Includes 6 foil swirls plus 3 x foil swirls with 18cm cutouts and 3 foil swirls with 12cm cutouts. 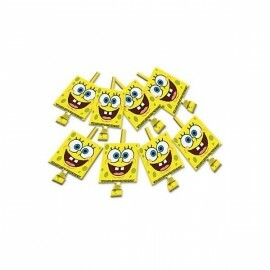 Pack of 12..
SpongeBob Squarepants Luncheon Napkins (33cm x 33cm) 2 Ply Pack of 16..
SpongeBob Squarepants Mini Bubble Set Pack of 12..
SpongeBob Squarepants Party Hats Pack of 8..